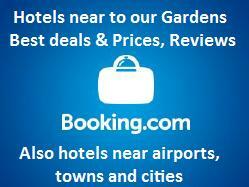 Welcome to Great British Gardens, for beautiful gardens to visit and places to stay nearby. We had a worldwide audience of around 750,000 and page views in excess of 3 million a year. Please note we update opening times in Jan/Feb each year to ensure our information is as accurate as possible. The guide was started by Garden Enthusiast Paul Leitch in 2002 with around 200 gardens, but since then more and more gardens have been asked to be included. 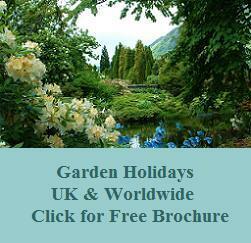 There are now around 550 gardens on the guide. Gardens open to the public on a regular basis are invited to submit their details for consideration - there is an annual fee of £95 invoiced 1 July (no joining fee but we do ask for a return link from your website as this helps all the gardens on our guide). Our garden information is updated regularly. Gardens open for charity only are free. Telephone : 01666 825390 to be considered for inclusion or complete the online form on our advertise page. 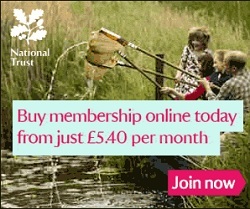 We are pleased to support the National Gardens scheme by promoting many of their gardens free of charge. National Trust Gardens are indicated by NT. Garden Opening Times - We update our opening times between February and March every year. If you are travelling long distances please check times with the gardens just in case changes are made by the owners. Also a selection of photographs taken by Paul Leitch - Editor. We are always seeking good garden information. To use any of our photographs please email info @greatbritishgardens.co.uk (re-type). If you have any questions about gardens please post these on our Facebook page or telephone 01666 825390. You can also email us at info @ greatbritishgardens. co.uk (please retype). Good accommodation, at reasonable prices has been included, and we welcome feedback to ensure we include only quality establishments in our guide. We are regularly recommended in the National Press and many media companies use as as a source of reference for garden programmes and films. Visit Britain also recommend our guide for people wanting to visit gardens in the UK and have a direct link to our pages. I haven't honestly looked for any garden sites before today, but yours is really super!! No part of this guide can be reproduced or copied without permission. The set out of the gardens and accommodation details are copyright. All information and images are published in good faith and we take great care to ensure we do not breach copyright. Images - All images have been taken in good faith by the Editor, provided by the gardens, or used with the permission of the photographers concerned and are copyright. We do not pass on any images without first referring to the gardens or the photographers. If you have concerns re infringement of copyright please let me know. We cannot accept any responsibility for any incorrect information. or difficulties that may arise although we welcome feedback.